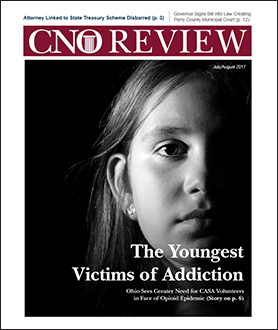 Ohio CASA Executive Director Doug Stephens talks to Court News Ohio about how the opioid epidemic is driving a growing need for CASA volunteers. In southern Ohio, where opioid use and overdose are especially prevalent, there are still eight counties without access to CASA. “In some of the counties that need it the most, there are the least amount of resources,” Stephens said. Judge Denise McColley of Henry County Family Court also weighs in. Read the full article here. Court News Ohio is a service of the Supreme Court Ohio.